The heart is like a pump which pumps blood around the body. Described below is one complete cycle of blood flow through the heart. 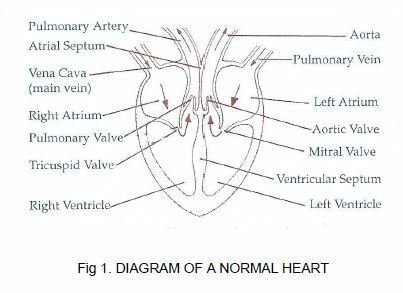 Fig 1. shows a diagram of the heart. The blood flows into the heart from the lungs and enters the left upper chamber (left atrium) through a vein (pulmonary vein). The blood here is oxygen rich, having obtained its oxygen through the lungs and it passes down into the left lower chamber (left ventricle), through a valve (mitral valve). From this chamber it is pumped through to the main artery (aorta). The main artery branches off into many arteries and the blood flows off to the head, arms, stomach, liver, intestines, kidneys, legs and every other part of the body. As the blood flows, it passes from the arteries, through capillaries, where the oxygen goes into the cells and is used up. Blood is brought back to the heart through the veins and into the main vein (vena cava), or the heart. 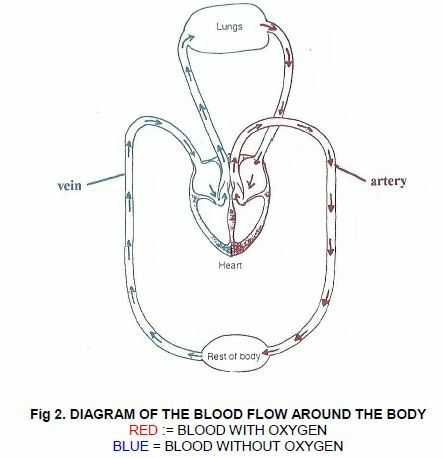 Fig 2. shows a diagram of the blood flow around the body. From the main vein (vena cava) blood comes into the right upper chamber (right atrium) of the heart. At the bottom of the right atrium is a valve (tricuspid valve). This valve is like a trapdoor allowing the blood down and it cannot return through the valve. The blood has been right around the body, so its oxygen has been used up. When the blood drops into the right lower chamber (right ventricle); it is pumped to the lungs to get more oxygen. It flows out through an artery (pulmonary artery), where it goes into the tiny capillaries of the lungs and picks up oxygen. The capillaries deliver the blood into the pulmonary vein, which carries it back to the heart and into the left upper chamber (left atriurn) and the cycle starts again. The heart is the one organ which is most affected by Patau’s and Edwards’ syndromes. Eight out of ten babies with Patau’s and nine out of ten babies with Edwards’ syndrome are affected with a heart defect. The effects may be mild or life-threatening. This is a hole between the lower chambers or ventricles of the heart. It means that the heart has to work harder and may become enlarged. A small opening does not strain the heart and the only abnormal finding is a murmur. However a large opening can cause serious complications or even heart failure. If your baby has a V.S.D. she may need regular treatment to clear congestion from her lungs to make breathing easier. This is a hole between the two upper chambers or atria of the heart, making it difficult for sufficient oxygen-rich blood to be pumped to the body’ s tissues. A soft heart murmur is heard. This refers to a large hole between the two ventricles; and a narrowing at or just beneath the pulmonary valve. This allows oxygen-poor blood to flow directly to the body, without first passing through the lungs to get oxygen. The result is blueness (Cyanosis) . Every baby is born with an open passageway between the aorta and the pulmonary artery (Ductus Arteriosus). This normally closes within a few days of birth and failure to close is quite common in premature babies. When a baby has a chromosomal abnormality this process may take several weeks. If this fails to happen some of the blood that should have gone through the aorta and on to nourish the body is returned to the lungs. There are a number of tests which can be carried out to determine the extent of a heart defect, and these include a physical examination, chest X-Ray, electrocardiogram, echocardiogram and, possibly, blood and urine tests. After reviewing the examinations and tests, the heart specialist (Cardiologist) will make recommendations about possible treatment. Provides information about size and shape of the heart and the blood vessels in the lungs. Electrical pulses generated by the heart beat are recorded on a graph. An image of the heart is created by high frequency sound waves. A clear definition of the heart can be seen. A catheter is inserted into a vein or artery, and the Cardiologist watches by a special X-ray technique as the catheter is slowly advanced until it reaches the heart. The Cardiologist can learn about the nature or the heart defect by taking blood samples and measuring blood pressure through the catheter.